Lithuanian filmmaker Arūnas Matelis set out to make a film that described the odyssey of bicycle racing. Little did he know that “Wonderful Losers: A Different World” would become his own personal odyssey. It was perhaps the most difficult film he has ever made, because Matelis and his wife Algimante Mateliene even had to sell their apartment to finish the epic film that’s set mostly during the 2014 and 2015 editions of the Giro d’Italia. But now, as his rare documentary wins award after award in film festivals around the world, Matelis is finally reaping some of the rewards for his efforts. 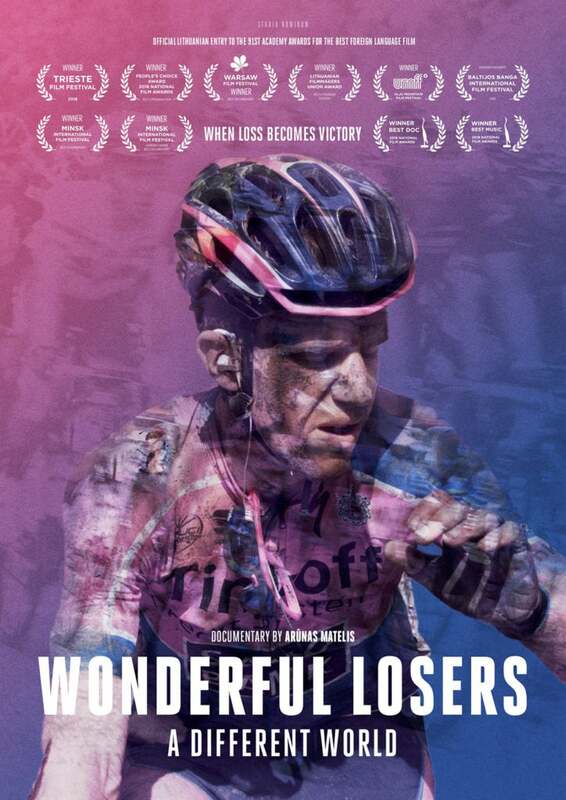 “Wonderful Losers” is not a film about winning. Instead, it is a 71-minute meditation on the daily sacrifice of the sport’s team workers. There is no happy ending in Matelis’ film. But now, as Lithuania’s official entry for “Best Foreign Language Film” and “Best Documentary Feature” for the 2019 Academy Awards, “Wonderful Losers” could well resonate for years to come. PELOTON: Arūnas, congratulations on the making of a profound movie about the sport of cycling. How did a Lithuanian filmmaker ever get interested in cycling? Arūnas Matelis: Well, I got into cycling growing up when I was 14 or 15 years old. I was much more of a loser than a winner, but it was the first time that I got into a sport where it was not just about winning and losing. You can do a lot of things within the sport, helping teammates, etcetera. There were different angles to the sport and it changed me as a teenager. It was a different approach to sports than I had known previously and cycling has been very close to my heart ever since. I’m 56, so I grew up in Lithuania when it was still part of the Soviet Union, so I wasn’t able to follow the Tour de France on television. Sure, we would eventually get our hands on a magazine from [western] Europe once in a while and see images of the Tour de France or the Giro d’Italia, but that was rare. No, I got into the sport mostly from just watching the few races, small races in my own country. They were not big races, but the rules are the same. PELOTON: Why did you decide to focus on the losers? I mean, there is virtually no sign of winning in your movie. Matelis: Well, the simple answer is that I was a loser. But really I think too many people focus on the winners. After all, 95 percent of the professionals are gregarios or domestiques. So I am actually surprised when people are surprised that I focused on these riders. PELOTON: “Wonderful Losers” is a wonderful meditation on the sport with only a very loose narrative. The story of the domestique and the story of sacrifice in the sport are much more important than a movie with a clear starting point, midpoint and end point. By avoiding an easy narrative, you may lose some viewers; you took a real risk. Matelis: Yes, but there are many other scenes that many people can relate to, like being in a hospital room and trying to come back from sickness or injury. I wanted to capture the catharsis of these people. 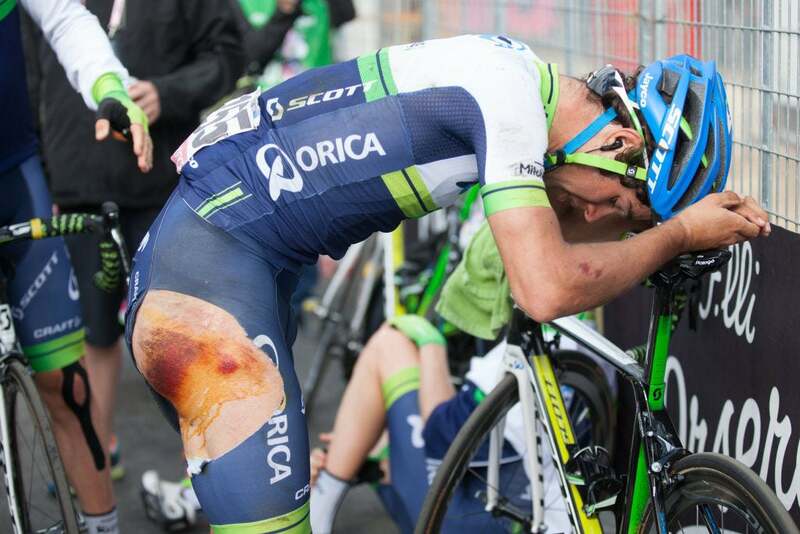 PELOTON: You filmed much of Wonderful Losers during the Giro d’Italia. Why the Giro? Matelis: Well, firstly we were able to get the access we needed. We tried to do it at the Tour de France but it was too complicated. And even with the Giro we had to negotiate for about five years to get the authorization and approvals we needed. And when the film came out, the Italian press wrote that it was the first time in 43 years that an independent filmmaker had done a movie on the Giro d’Italia. I don’t know if that is true, but they said it was the first time since Jørgen Leth did “Stars and Watercarriers” [which premiered in 1974]. PELOTON: Well, it is interesting that you mention Leth, who of course did several seminal documentaries about cycling. I imagine that you know of his work—perhaps you were even inspired by it in some way. Your film definitely has affinities to Leth’s. Matelis: To be honest, I know many of his other films better than those he made of cycling. I did see them, but that was a long time ago. That said, I think you see in both of our styles a real love for the sport. PELOTON: What was the biggest challenge in making “Wonderful Losers”? Matelis: Everything! Everything was a challenge and, to be honest, I would never start this journey over again. I thought that once we got permission that the hardest part was over. In fact, it was just beginning. PELOTON: When you watch it now, after it is completed, what satisfies you the most? Matelis: I don’t know, I haven’t seen it since it was out. I never watch my films once they are out. PELOTON: Are you surprised that Lithuania has nominated your movie for the Academy Awards? Matelis: Well, that I must say was a surprise. For me, in many ways, I just wanted to make a film about my love for cycling. But the response has been amazing. To win the prize for Best Documentary at the Warsaw Film Festival is already way up there. That is just an amazing film festival, up there with Cannes or others. So now we will see about the Academy Awards. PELOTON: For the moment the only way to see the film is through individual screenings. Do you have plans to stream it, sell it or rent it online? 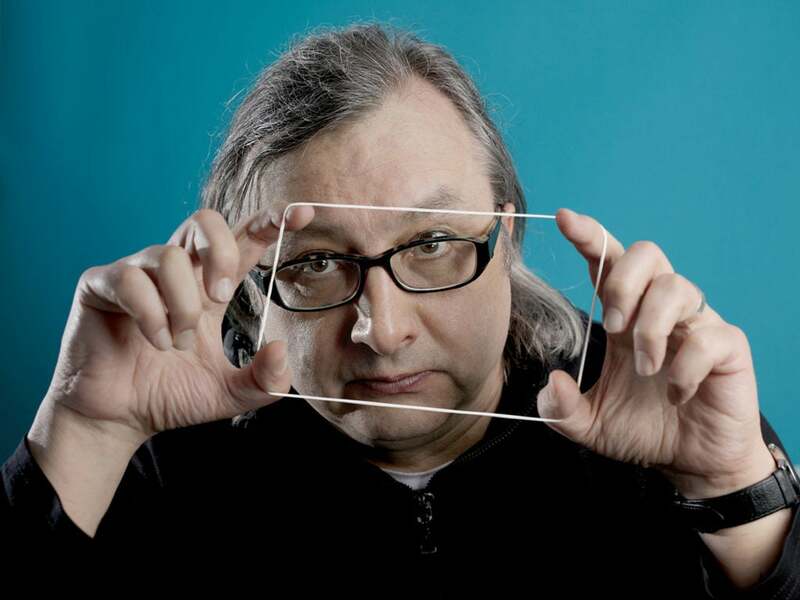 Matelis: Streaming is still a question for me, artistically, creatively as much as commercially. On one hand this film is very different when you watch it on a big screen or on a computer. In a cinema, for example, the darkness of a tunnel collides with the darkness in the room. And with good sound you really hear the cry or scream of a cyclist. It’s a different experience. That said, I totally understand that, as a producer, only about 0.10 percent of the people will watch it on a big screen. But we have to make our money back. My wife Algimante is the main producer, and together we had to sell our apartment to be able to finish the film. So even though as a film director I may have tears in my eyes, yes, we need to get it out there for streaming and we are planning to do so ASAP on wonderfullosers.com. We are planning a gala screening of it in Los Angeles on December 15 and that may well be the moment to launch the streaming.